your upcoming golf event than having it listed on our website! We now offer 3 options for listing your upcoming golf event on our site. Continue below to read more about your choices. See example below for more clarification. 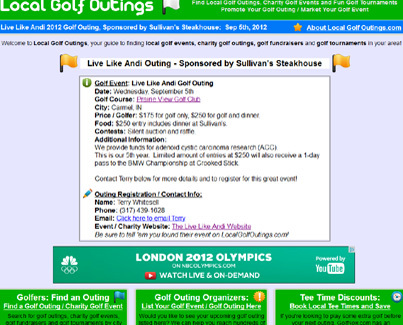 (We'll email all subscribers in your area to let them know about your golf outing. Click here for a Basic Listing. Click here for our Pro Package. 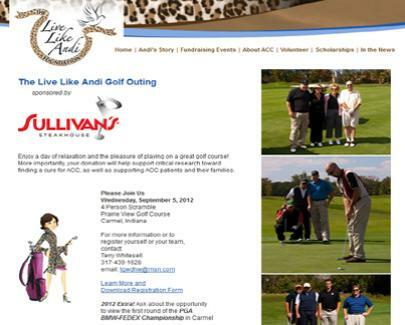 upcoming golf outing and provide a home for it on the web. 100% Risk Free. your money, no questions asked! (Indianapolis is shown here as an example.) The only difference is where the link will take you when you click on it. and contact information for golfers who wish to sign up. your own website where golfers can find more information. For more detailed information about why our Pro Package is worth every penny, be sure to check out Golf Outing Success.